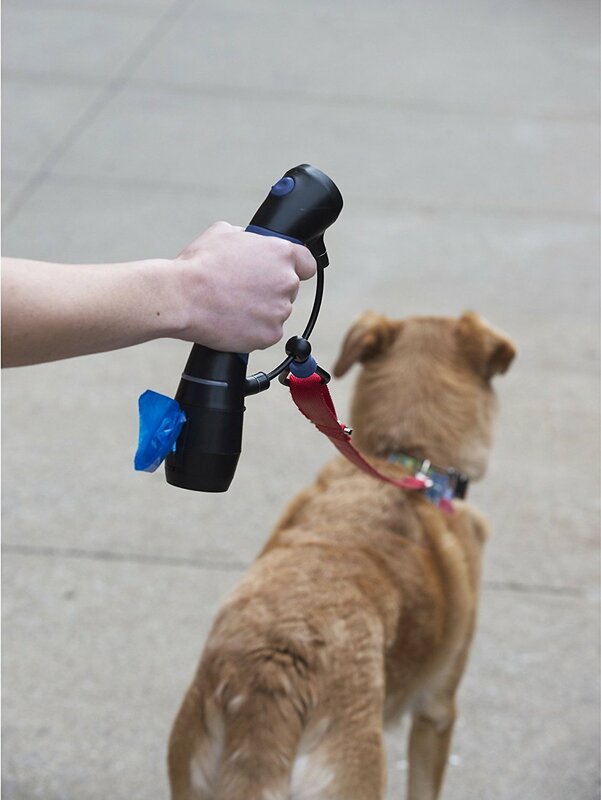 The Dog Gone Smart I'm Gismo Dog Leash Handle with Poop Bag Dispenser brings the next evolution in style and convenience to your dog walking experience. The ergonomic curved silicone grip provides unmatched comfort in your hand while the innovative interchangeable accessories help make sure you have exactly what you need to enjoy taking your best friend for a stroll without cluttering your hands or pockets. 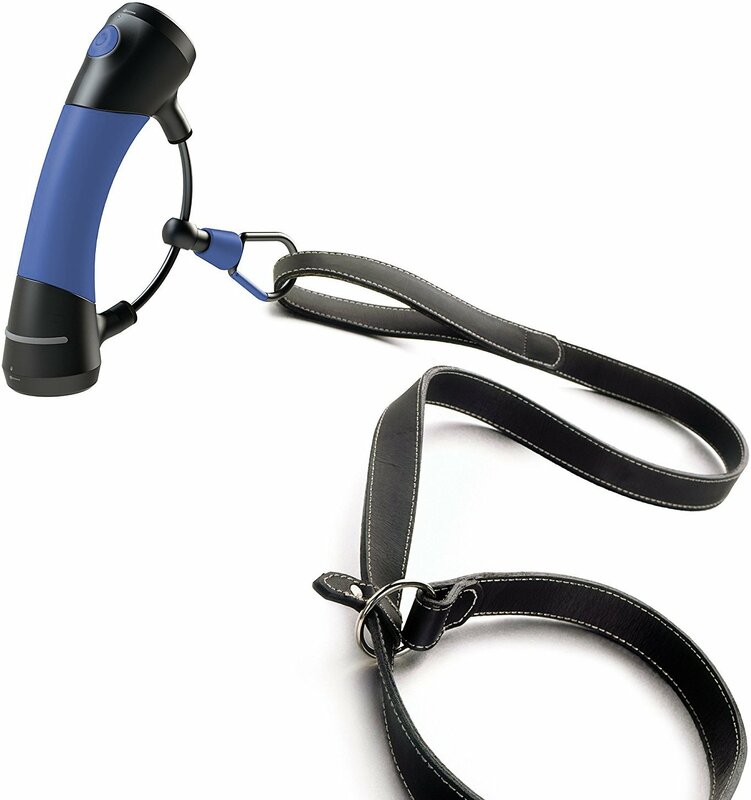 Simply connect any fixed-length leash using the provided carabiner, attach the desired accessories, and away you go. The patented rail sliding system and rotating carabiner gives your playful pooch increased freedom without tangling your hand in the leash or tugging your arm unexpectedly. 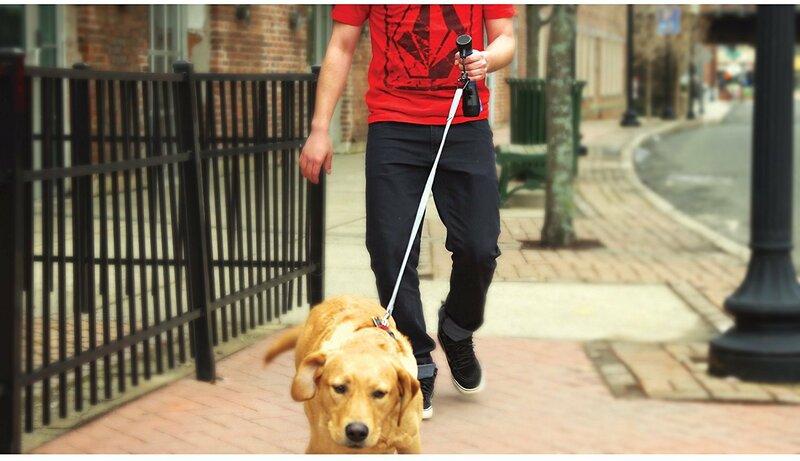 Innovative dog leash handle combines style, convenience and thoughtful design to make dog walking simple and enjoyable. Ergonomic curved silicone grip provides exceptional comfort to eliminate soreness, cramping and chafing. Patented rail sliding system and rotating carabiner delivers unmatched freedom of movement for dogs up to 85 pounds. Waste bag designer holds one standard roll of bags and dispenses easily with its pull and tear design; also includes a convenient clip for carrying a full bag. Highly functional interchangeable accessories available for purchase include a flashlight, clicker trainer with treat holder, and dual-leash carabiner. Further enhance your dog-walking experience with the I’m Gismo Flashlight, the I’m Gismo Dual Carabiner, or the I’m Gismo Clicker and Training Treat Holder. It is recommended to use a 3-ft. leash or shorter when using the Dog Gone Smart I’m Gismo Dog Leash Handle. I’m Gismo Dog Leash Handle can hold any dog weighing up to 85 lbs. 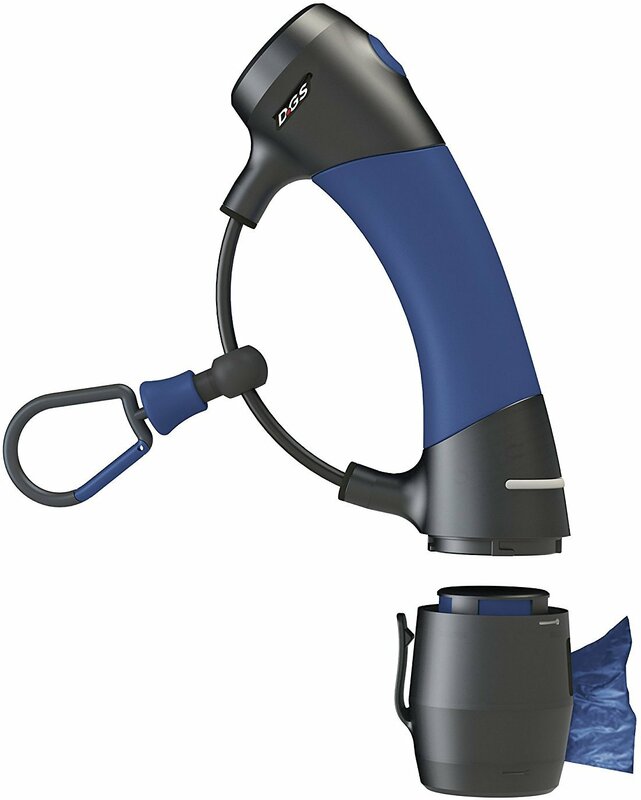 This handle is kind of cool but my dog seems to not need it so far...also I went online after noticing all the cool add on you can have for the handle such as a flashlight, treat container, phone holder, ball holder etc...and some of these add on do not seem to exist yet?? Maybe wait until this item is on sale to buy...does not seem to be worth full purchase price. This has made me walking my 3 dogs (2 on the Gismo) possible like never before. Maneuvering three leashes was torture. SO much better with Gizmo. I do need to mention if you have small hand, the circumference of this handle is not small and took a little getting used it, but definitely try it! Would return it if I had receipt. Thought the flashlight & baggie accessory would be awesome but turns out they are more trouble than they are worth. Cannot even add treat container. Sometimes don’t stay & flashlight has to come on & off for recharge. It is extremely ergonomic & comfortable but that isn’t enough to justify the price. This with the dual leash attachment has made walking my two golden retrievers so much better! I bought the Dog Gone Smart I'm Gismo Dog Leash Handle with Poop Bag Dispenser- added the flashlight AND the dual leash holder connector... and OMGoodness, best invention EVER! We have a 5 year old cockapoo, who walks great and a 14 week old cockapoo puppy that is zig zagging every which way she can. Not once did the leashes get tangled. The handle is very comfortable and poopy bag hold is perfect- especially now that there is two. The flashlight has two settings- continuous and then a flashing one, so we can always be seen as it is getting dark early. This Gismo and all it’s attachments were worth the money! Love my I'm Gizmo leash! Working so well!... 2 dogs with 120 lbs combined weight (same as me), one hand does it! The only reason I give it two stars is for the poop bag clip and the clip to hold leash and keys. It has buttons for attachments that do not exist. There's another cap you can unscrew and attach something, that again, doesn't exist.